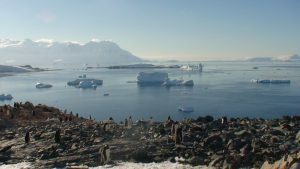 Peacefully situated in a bay off the Gerlache Strait & Errera Channel along the Danco Coast of the Antarctic Peninsula, we visited Cuverville Island. 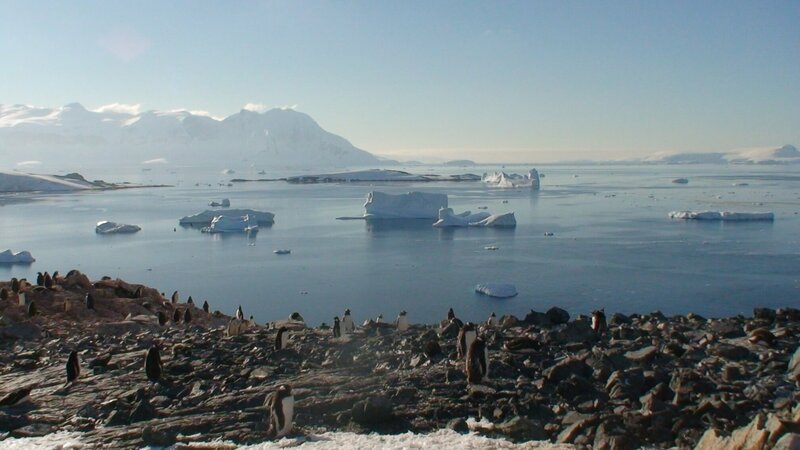 Gentoo penguins abound, and the bay was rich with several amazing and gigantic icebergs. We climbed to the top of the island (mere 816 ft elevation) to take in the views.